Presenting a lean and dynamic attitude, this energy supplier on the Belgian and French markets grew very fast since their foundation in the early 00’s. Having become a top 5 player in the Belgian energy market, with over one billion euro’s in revenues, the company’s brand builds on a commitment to supply 100% green electricity. Consumer trust is high thanks to an active stance in battles to protect consumer rights and to safeguard a free energy market. The ambition to become a complete energy solution for its customers leads to investments in new subsidiaries such as insulation and energy maintenance. To define software components for automation and efficacy increases. The overall project enabled this supplier to set up a full scale but right-sized sourcing and trading organization, including a front-, middle and back office unit. A well thought-out operational process model has each department focusing on its core activity while boosting interoperability to achieve an optimal portfolio management value chain. 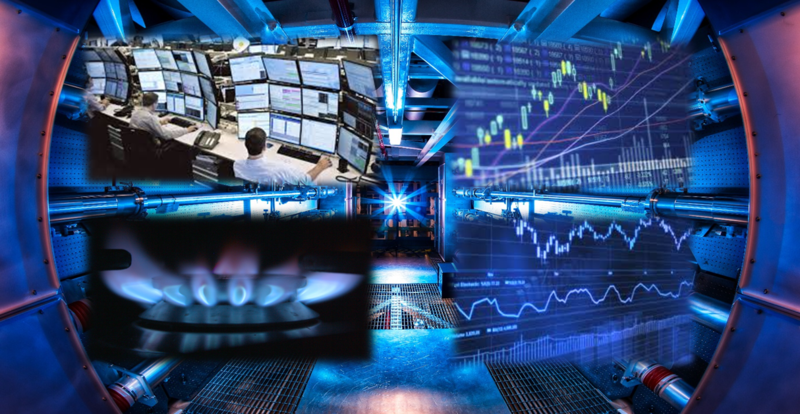 The energy trading and risk management suite’s main merit is risk reduction as it manages all data related to financial and operational obligations. The price quotation tool tailors prices to consumption profiles and contractual preferences. Price setting directly impacts the gross margin during the delivery period. The algorithm is easily modifiable in order to be able to change price components while keeping enough flexibility for the addition of new products and easy reporting. The project extended and implemented a high-level blueprint of the to-be process situation. We managed the development of the integrated and feature-complete ETRM suite in three phases. First high-level requirements were gathered to enable an initial vendor selection. The selected vendors were compared based on several key characteristics and the most appropriate suite was selected. Next we delivered an analysis of the data flow between existing systems and the ETRM suite. Using a scrum methodology, we guided the development team in constructing this flow correctly. Finally a phase of integration and testing of the ETRM suite was completed successfully by active vendor management. The price quoting tool kicked off with an analysis of pricing strategies. This resulted in a structured approach to price setting, which is now used to define B2B price components. A prototype of the price quotation tool was delivered to assist the pricing team during the development of the final application. This quick-win solution reduced the time-to-delivery and is still used in all cases for manual pricing and simulation. The final tool automates the price calculation process and facilitates reporting. The product design focuses on ease-of-use for both the sales team and more advanced users such as administrators and business analysts. irex joined a team of both external and internal business experts to tackle this project. We provided business knowledge on energy procurement and B2B sales. We leveraged capabilities such as energy data analytics, project management, vendor selection and prototype development. We played a pivotal role between the individuals and departments involved. As business analysts, we truly understand the requirements of the different stakeholders. However, we often dig much deeper and provide low-level implementation guidance to ensure operational success upon delivery.